For the past 3 consecutive years I ran in the Des Moines Marathon, an event held in October every year. Before you faint in amazement, I want to clarify that I did not run the marathon course itself. 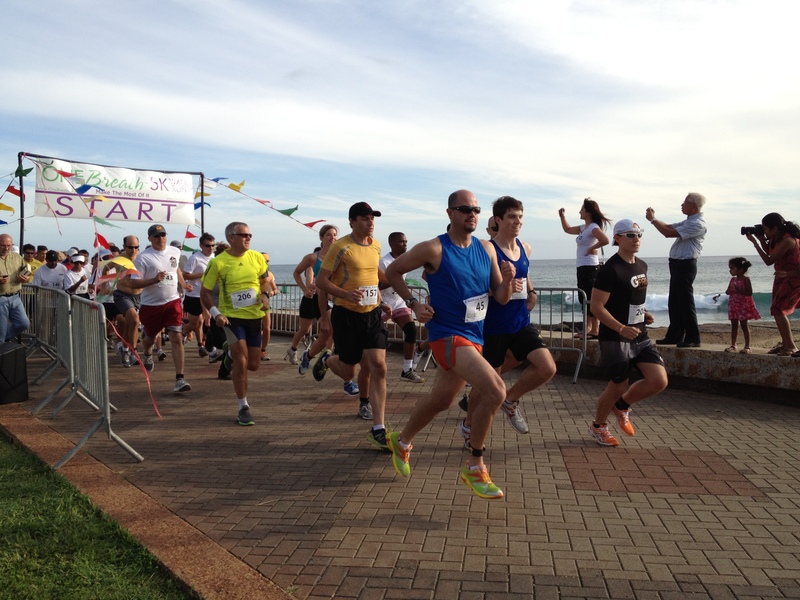 For in that event, there was also the 5K run, the half marathon (21K), and the full marathon (42K). During my first year of joining, I ran the 5K. It was actually my first ever road race. Though I run for exercise since I was very young, I never ran long distances before. Maybe 2 to 3 kilometer tops. I was more on doing sprint in my younger days. But after that run, I admit, I got hooked. So on the following year, I did the half marathon. It took me a few months to train for it, but I did it. And I finished it with a respectable time (that means it did not take the whole day!) too. Last year, I repeated the feat and ran the half marathon again. This built enough confidence that I wanted more. I felt then that I was ready to try the full marathon next time. In fact, I did not even join the Des Moines Marathon event at all this time. I learned early this year, as I was planning my year-long schedule that I would not be able to join the run. There is an out-of-state annual physician’s conference this autumn that I just cannot pass, for the reason of where it is being held this year. So to stay motivated and maintain shape and in good running condition, I did the next best thing. I joined a race in the city where I attended my conference. Though it was not a marathon nor even a half marathon. 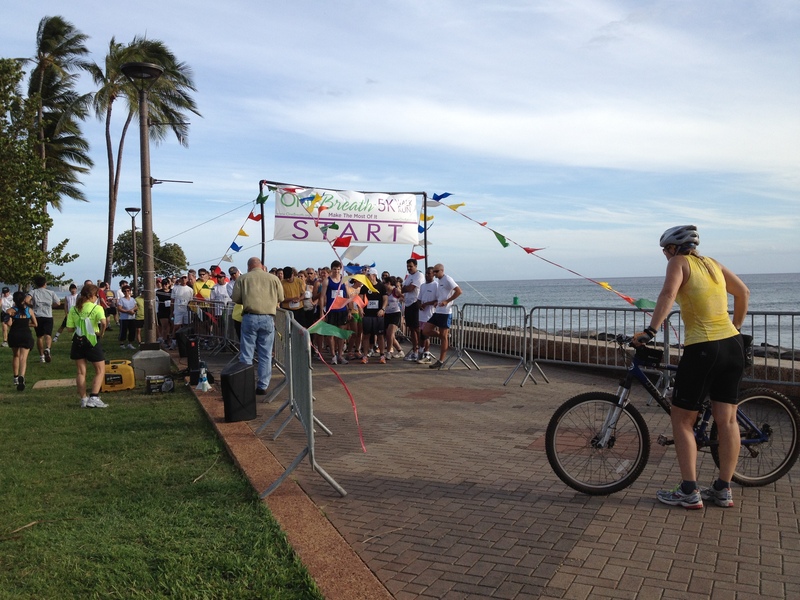 I joined a 5K run in Honolulu. Yeah baby, in Hawaii! Looks like Roxas Blvd, right? But's that's Honolulu harbor. Here we go! To inhale the salted air. Do you notice the name of the run was “One Breath”? I think “Out of Breath,” at least for me, is more appropriate. I'm somewhere in the back. I'm giving the other racers the head start. If running has always this stunning view (I mean the ocean, not the lady doing the stretching), I really can get used to this. 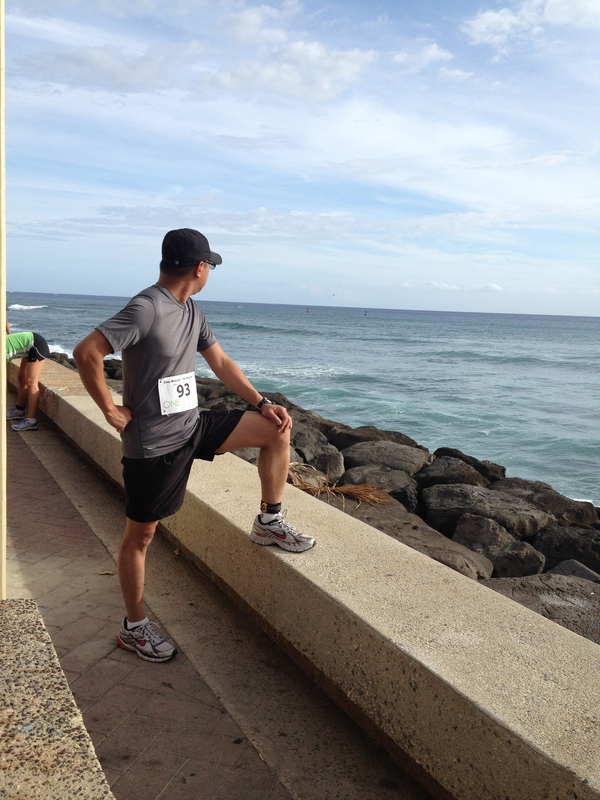 The runner and the ocean. What’s next? Boston marathon? I don’t think so. How about Boracay marathon (if ever there is such event)? That’s more like it.